The Rotary Clubs of Voorhees have a proposition for residents that could be described as just peachy. Until July 20, residents can spend $19 to place an order for 8 to 8.5 pounds of fresh, hand-selected peaches from Heilig Orchards in Mullica Hill. In turn, profits earned from the sales will go toward providing healthy snacks to children in need in Voorhees schools. The “Win-Win” offer comes as part of the new “For the Kids Fund” started by the joint efforts of the Voorhees Breakfast and Voorhees Dinner Rotary Clubs. The two clubs hope to establish a long-term fund that can provide money for schools in Voorhees to help provide healthy snacks to children who otherwise might not have access. According to Glenn Page, president of the Voorhees Breakfast Rotary Club, the idea started when he and his wife, a clinical therapist, learned from friends who work for the Voorhees school system that even in Voorhees there were hungry students in need. In speaking with nutritionists and other school officials, Page said they learned that even though it might seem small, a healthy snack can have a real impact on a student’s ability to pay attention and properly learn throughout the school day. “They have an outside impact on the ability of children to stay focused,” Page said. Page said although the clubs won’t be involved directly in getting the healthy snacks into the hands of kids, the clubs wanted to ensure that when such a need arises, funds were available and ready to go. Although the program is starting out small, Page said the clubs hope to continue with similar fundraisers throughout future seasons, with apples in the fall and blueberries in the spring, with the goal of the program becoming a permanent fund. Page notes that it was a single Rotary Club that started what would become Rotary International’s PolioPlus Fund, which in the last 30 years has raised more than $1.3 billion to help reduce the number of polio cases from 350,000 annually to fewer than 400 in recent years. Without wanting to sound grandiose, Page said he wouldn’t mind if the For the Kids Fund program was successful enough to eventually expand to neighboring towns. “We think it is exactly the kind of thing that service clubs like Rotary should be doing,” Page said. However, focusing on Voorhees for now, Page said the clubs are simply trying to rally businesses and organizations that deal with children to “put their money where their mouth is” and help support children in the township. “There shouldn’t be hungry kids in Voorhees, there just shouldn’t be,” Page said. 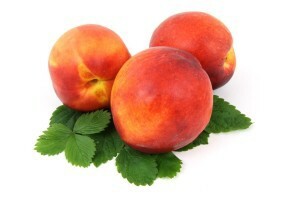 Peach orders can be placed at www.farmhousefruit.com/fundraising/rcv through July 20. Peaches will be available for pickup at the rear loading dock of Voorhees Middle School on Saturday, July 23 from 9 a.m. to 1 p.m.